The snow has melted away, and the waters are beginning to warm, which means spring and summer are just around the corner in New Bedford. 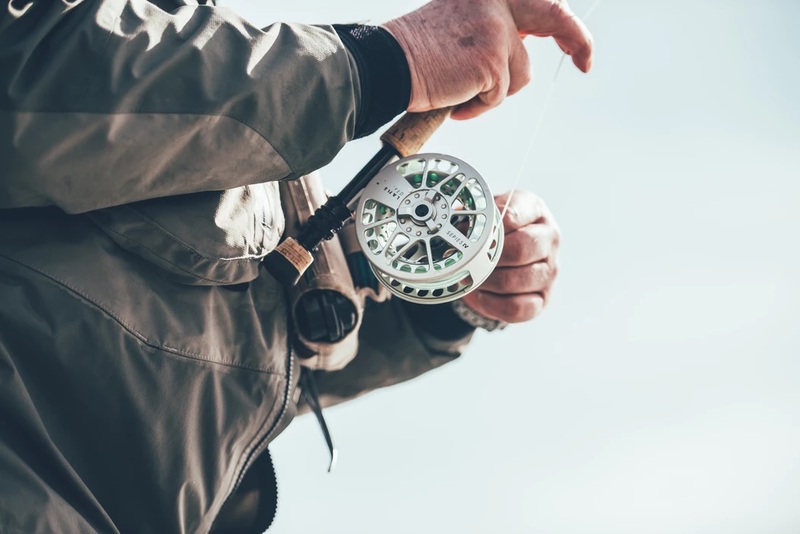 While it’s not quite time to break out the water toys, anglers are already flocking to Buzzards Bay hoping to reel in the first catch of the season. Just like birds, striped bass migrate south for the winter, spending their time in the slightly warmer waters down south. But as their food sources move north when the waters warm, so too do the stripers. By late April, “schoolies” of young fish are typically found searching for food near the mouths of harbors and coves, with big schools of stripers back in the bay around mid-May. The Buzzards Bay fishing reports are a great place to get inside information from local fishermen, so they’ll give out-of-town visitors a good idea of where the fish are biting as spring transitions into summer. But there are a few tried-and-true fishing spots that have been good to every angler in New Bedford. No boat fishing is allowed at Cape Cod Canal, so anglers flock to the shores with their rods and reels, hoping to snag the big one. Stripers, bluefish, mackerel, tautog, and many more are plentiful at this spot. There are plenty of public access recreation areas along both sides of the canal, with the most popular spot being at Herring Run Recreation Area, where river herring gather for migration in spring. Smaller schoolies arrive in the marshy areas of the Westport River in early spring, but anglers looking for the big stripers will find plenty of them in May as they follow the river herring upstream. The state boat ramp is a convenient launching point, offering easy access to the mouth of the river and in-river fishing destinations like Ship Rock and Gooseberry Island. Locals have also reported great catches from the bridges of Hixbridge Road and Route 88. The mouth of New Bedford Harbor teems with stripers and tautog in the spring and summer months, and Fort Taber Park offers the perfect destination for catch-and-release fishing. A lot of bottom feeders are found in this area, and the high levels of PCB pollution found in New Bedford Harbor mean these fish are at risk for toxins, so the EPA warns against eating them. Still, the fish are there, and there are many offshore destinations like Great Ledge that can be reached by boat in minutes. When you’re ready to cast our a line, stop by Standard Marine Outfitters for all your fishing and boating supplies. Fill out our online contact form or give us a call at (508) 990-7917 to get in touch with our experienced staff today. When winter weather starts to bite, the one thing on many boat owners’ minds is ensuring that their boat is prepared for the cold. For new boaters, this can seem overwhelming, but a few simple preparations and the right supplies can prevent any long-term damage. It’s important to thoroughly treat a boat’s fuel before the winter to prevent carburetors and fuel injectors from clogging with varnish deposits through months of disuse. This can be performed by using a fuel stabilizer such as PRI-G and then running the engine for a brief 10 minutes to prevent an expensive repair when warm weather returns. Changing the oil in a boat is essential to preventing corrosion by eliminating moisture in the system. This moisture can create wear and tear in the system, which can lead to a reduction in fuel economy and even an engine failure down the road. An oil change costing $30 to $80 can prevent an extremely costly engine repair that could be necessary without the right precautions. It’s important to ensure that engines are prepared for months of disuse, and aerosol fogging can prevent unnecessary damage. There are many fogging-solution lubricants on the market that can be spread directly into the air intake. This can prevent corrosion that will affect the cylinders, pistons, and rings. Just like having the right boating apparel is necessary for colder months, it’s important for boats to be properly defended against the elements, as well. One of the most basic ways to prevent winter damage is to ensure it is parked in the right location. This means finding a place that is out of the water, under a cover, and preferably in a boat storage area that is climate controlled. Because this is expensive, there are other affordable options. Many find that shrink-wrapping a boat is a more affordable solution, while others simply cover their boats with a sturdy tarp. Once all of the operational parts of the boat are winterized, it’s also important to prepare the interior of a boat for the down months. All valuables and electronics should be removed, with all drawers and storage spaces thoroughly cleaned. It is also helpful to clean refrigerators and freezers, as well as turn cushions up on edge so that air can circulate around them. Many find success by installing a dehumidifier for the winter months to prevent mildew from forming over the winter. 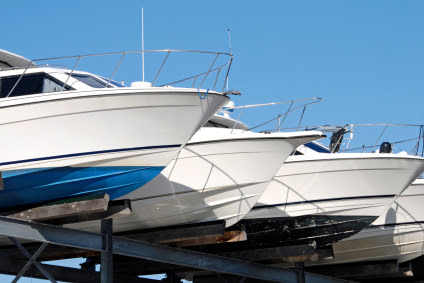 To prevent winter damage, it’s vital to make sure boats are properly prepared for cold months. To get started and acquire the right supplies, visit Standard Marine Outfitters today or call us at (508) 990-7917.